Fred has acted, sung and danced in musical theatre productions from New York to California. Fred made his Los Angeles debut singing and playing in the West Coast company of FORBIDDEN BROADWAY in 1983. 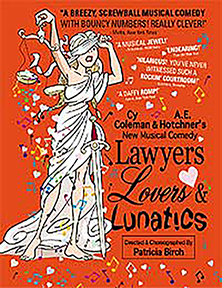 More recently, he played the singing, dancing, conniving Judge in Cy Coleman’s musical LAWYERS, LOVERS & LUNATICS, directed and choreographed by the legendary Patricia Birch. This reworking of WELCOME TO THE CLUB, previously retitled EXACTLY LIKE YOU, made a regional tour of large New Jersey and Florida theatres, stopping short of Broadway. He had three songs, drove the plot as the verbose kingpin of the courtroom capers, and doubled as onstage Musical Director and secret keyboardist behind the Bench. Favorite roles include “Bert Healy” in ANNIE, starring Ruth Williamson and John Leslie Wolfe, at Austin Musical Theatre. Fred accomplished the rare feat of running Bert’s fast-talking Act 2 Radio Show and performing “You’re Never Fully Dressed Without A Smile” while doubling as the production’s conductor. At Theatre-By-The-Sea, Fred made his first appearance in a Cy Coleman musical, playing a dozen roles in I LOVE MY WIFE, while simultaneously serving as the production’s Musical Director and onstage pianist. His Act Two opener “Hey There, Good Times” was a nightly house-bringer-downer. At the Delaware Theatre Company, Fred regaled with featured songs in the Tom Lehrer revue TOMFOOLERY, singing and tap-dancing from his perch at the onstage piano. Tom Lehrer was a personal acquaintance, having gone to Harvard with Fred’s parents, and having made political guest appearances for Fred’s sister Nancy Barton, head of John Kerry’s first Congressional campaign. 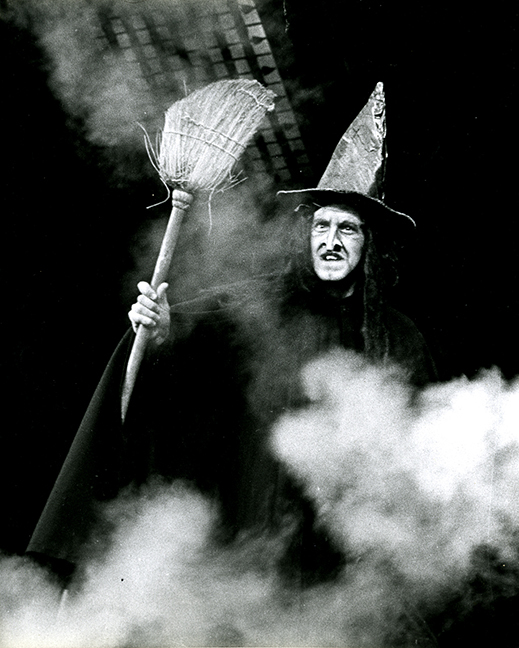 Fred terrified children of all ages as the “Wicked Witch of the West” in THE WIZARD OF OZ at Theatre-By-The-Sea. His double role as “Miss Gulch” led to his celebrated international one-man show MISS GULCH RETURNS!. Fred has performed his one-man show MISS GULCH RETURNS! to sold-out audiences in Chicago, San Francisco, and Los Angeles, with an extended, acclaimed run in Boston. May 2019 brings Fred back to MISS GULCH and Austin, Texas, as the closing engagement of the 2018-9 season at Austin Cabaret Theatre.